The life of a veterinarian is about providing the best preventive and wellness care as well as ensuring that your pets are supported by the best emergency care possible, 24 hours a day, seven days a week. The Village Animal Clinic understands that medical emergencies for a beloved pet can, and often do, happen outside of normal business hours. This is why we work to make sure our clients have access to 24/7 emergency care. 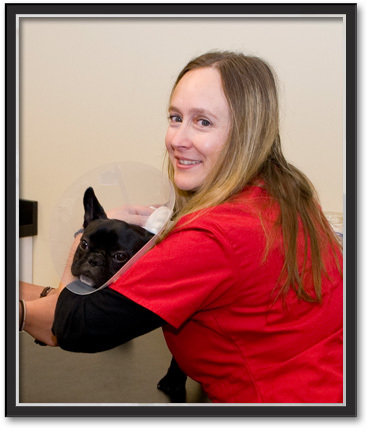 During our regular business hours, The Village Animal Clinic's medical staff and resources are available to help you with any emergency your pet experiences. This includes our internal medicine expertise, diagnostic technology, and surgical suite. If possible, please call in advance so we can prepare for your arrival. If a particular case requires unusual or special care, we may refer you to a veterinary specialist. Cases most often referred to specialists are for complicated orthopedic or neurological conditions, advanced cardiac diagnostics, and complicated dermatology and ophthalmology cases.